The U.S. Department of Transportation wants to better protect vehicles from rear impact collisions with commercial trucks by improving certain safety standards. The National Highway Traffic Safety Administration (NHTSA) has proposed a plan to improve rear underride guards, which will lessen the impact of rear impact accidents. A truck underride occurs when a small vehicle hits a much larger vehicle, like a tractor trailer. The hood of the smaller vehicle then becomes trapped under the bed or chassis of the vehicle. When an excessive underride occurs, passenger compartment intrusion (PCI) can happen. This means that the larger vehicle, which would be the bed or chassis of a semi-truck, actually penetrates the passenger compartment of the smaller vehicle. This type of accident can often result in severe injuries and death for the passengers in the car. 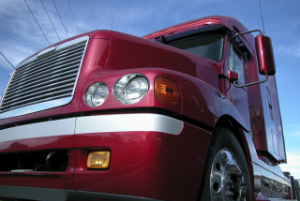 About 400 deaths each year are attributed to truck underride accidents. Currently, tractor trailers and semi-tractor trailers are required to have rear impact guards or bars to combat these types of accidents. But now, the NHTSA is proposing changes to ensure that the guards are stronger, and that they meet updated safety specifications. These robust and enhanced rear guard regulations have been shown to prevent underride in higher speed collisions. The National Highway Traffic Safety Administration also wants to require single unit trucks, and not just tractor trailers, to have rear guards for safety. Trucking continues to remain an important part of America’s roadways. As commercial trucks and other vehicle continue to share the road, the Department of Transportation hopes that these new proposals to enhance rear guards will usher in a safer driving experience for all involved. Have you or a loved one been injured in a truck collision? If so, the experienced truck accident attorneys at Edwards Law can help you get the justice you deserve. Contact us today for a free evaluation.